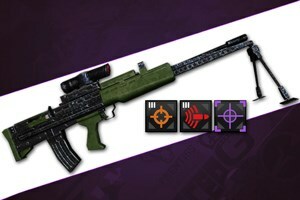 Functionally identical to the N-SSW, the Agrotech Versatile Arms System Support Weapon Mk 2 is an imported LMG used as the primary assault rifle by armed forces over the pond. Hunting Sight 3 Increases benefit of Marksmanship mode substantially. Increases zoom level by 5 degrees. Decreases accuracy while running substantially. Improved Rifling 3 Increases effective range by +7m. Increases maximum reticle bloom substantially. Tagger Places a Target Marker above targets that you hit, for 8 seconds. Enemy player can see when they are tagged.